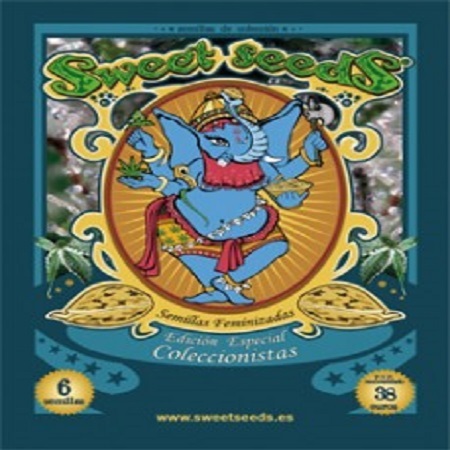 Collection #1 Feminized Marijuana Seeds by Sweet Seeds: Collection #1 from Sweet Seeds contains 6 feminized seeds with 2 of each: S.A.D S1, Psicodelicia and Black Jack. Sweet Seeds Sweet Afghani Delicious S1 (AKA SAD S1) is a hybrid of pure Afghan strains and a self-inbred Black Domina from the Sweet Seeds industry. Cannabis seeds of this strain are very consistent and produce strong and healthy offspring’s. They are excellent for indoor and all kinds of outdoor cultivation and produce dense cogollos with abundant resin and an intense candy aroma and a musky flavour inherited from its Afghan ancestors. Like any indica dominant cannabis seeds, SAD S1 feminized has a good resistance to mould and mushroom and cope well with a mild stress. It makes them suitable for beginners in cannabis growing business. They produce strong and healthy seedlings which show indica qualities from the very beginning. SAD S1 plants have a compact structure and grow a bit bushy with a typical Christmas tree shape. When fully mature, they don't take much of your living space and easily fit into small spaces of closets and/or home box gardens. Plants of this marijuana are very eye appealing; their leaves have short, wide fingers and are deep green, often tinged with purple. At maturity, the leaves may start to turn even darker purple. SAD S1 has short branches laden with thick, dense marijuana buds, which mature early, usually about the beginning of September. The marijuana buds vary in colour from dark green to purple, just like their marijuana leaves. Feminized seeds of SAD S1 are suitable for both indoor and outdoor cultivation. Whenever you decide to grow your indica lady, she won't disappoint you, after a short flowering period which usually last 9 weeks which is a bit long for an indica. Yet, within this period the plants develop great yields of up to 500gr of good quality marijuana. Outdoor yields really depend on a vegetative time and a season. By the end of flowering, a rich and intense sweet musky aroma starts to appear with some haze undertone. Marijuana of this indica has a relaxing social high, which allows you to sense and feel the environment, but does not lead to thinking or analysing the experience. THC content of the final product is 15-20%; together with an ability to produce high yields, it makes her a very potential strain for commercial use. Sweet Seeds Psicodelicia is a new cannabis cross developed by Sweet Seeds for everyone who likes a complete sativa relax after a long day. Genetics of the best American and Nepali strains were used during numerous breeding experiments, the result of which was feminized cannabis seeds of Psicodelicia, a highly potential marijuana strain with a perfect combination of a fresh and citric aroma and an Asian spiced coffee scent, a variety with firstly sativa genetics and very short indica flowering. This unusual aroma makes Psicodelicia stand out of all other strains from Sweet Seeds. 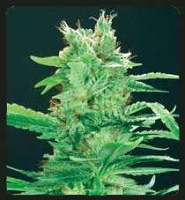 Plants produced by Psicodelicia feminized cannabis seeds are very attractive. When fully matured, they are almost completely covered by aggregated bud formations; buds are big and, though don't look as dense as indica ones, filled with sticky aromatic juice. This cannabis variety is very resinous, crystallized hairs seem to cover the whole plant. 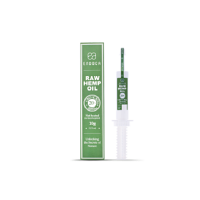 THC content is between 18% and 20% while CBD one is only 0.6 what makes high of this marijuana energetic, clear and exciting, ideal for producing artistic and creative work. Smell of fresh citrus and roasted coffee appears by the end of a short indica flowering of 8-9 weeks and maintains in the cured product. Psicodelicia cannabis is very productive and makes a good commercial strain. Excellent results have been obtained from plants growing both indoors and outdoors with an average 550 gr of quality marijuana. When grown indoors, this variety responds well to nearly all growing methods and can grow really tall under optimal conditions, so some trimming might be needed. Outdoor harvest starts at the end of September/beginning of October. 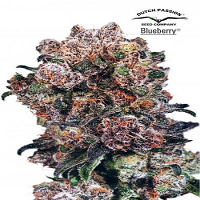 Psicodelicia marijuana has a typical effect of sativa, energetic, clean and firstly exciting, an ideal for completing artistic and imaginative tasks. Sweet Seeds Black Jack is a unique 50/50 indica/sativa cross between Sweet Seeds' Black Domina and Jack Herer. Her feminized seeds combine the best qualities of both parents and produce powerful plants with a pleasant and intense aroma, a sort of an incensed cathedral type Haze, and a strong narcotic effect. Possessing equal characteristics of indica and sativa genotypes makes this variety absolutely unique. Feminized cannabis seeds of Black Jack develop long lateral branches with plenty of abundant resinous buds, giving plants a sphere like form. They are totally adaptive for indoor setups, showing a good response to all growing methods. They won't disappoint you either growing outdoors. With enough sun, plants become very resinous and hairy giants stretching as high as 3 metres. This breed-crossing provides the plant a sweet scent of Black Domina that softens the deep incense aroma of Jack Herer. 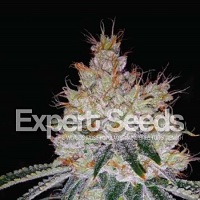 Black Jack feminized cannabis seeds have a minimum sativa flowering period, just 9 weeks. Outdoor harvests start at the beginning of October. This marijuana variety is agreed to be one of the most productive. Indoor yield can reach 600 gr. per m2, and outdoor one produce the same amount but per plant. 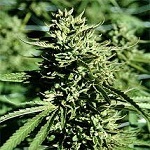 Black Jack marijuana has a very pleasant smell and taste; she is easy smoking and doesn't produce a "choking" effect. THC content is between 16-21% over 0.6% of CBD. It makes the cured product produce a clear headed energetic high with no "hang over" effect, ideal for parties.